The Cadillac CTS is lighter than its primary competitors, enabling the most agile driving dynamics in the class, and its range of power-dense powertrains underpins its performance. At 134 hp/L, the 2.0L Turbo is one of the most power-dense engines in the industry, delivering 90 percent of its peak torque from 2100 rpm to 5400 rpm and the full 295 lb-ft of peak torque (400 Nm) from 3000 to 4500 rpm. The broad torque band is supported by boost levels as high as 18 psi (1.26 bar), which is designed to give the lightweight Cadillac CTS an exhilarating feeling of immediate power on demand. The 3.6L V-6 is the most powerful naturally aspirated V6 in its segment with SAE-certified output of 335 horsepower (250 kW) and 285 lb-ft of torque (386 Nm). Fuel-saving technologies include direct injection, continuously variable valve timing, and Active Fuel Management (cylinder deactivation). The Active Fuel Management system temporarily deactivates two of the 3.6L’s cylinders in light-load driving conditions to enhance fuel efficiency and seamlessly reactivate them when the driver demands full power. Both the 2.0T and 3.6L V6 feature efficiency-enhancing Stop/Start technology, which shuts down the engine in certain driving conditions, such as stop-and-go city driving, to reduce fuel consumption. 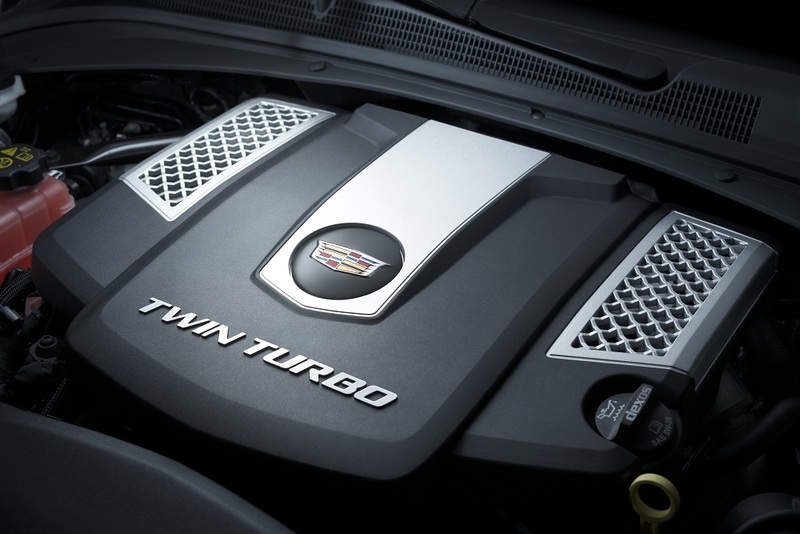 The Cadillac CTS V-Sport features the Cadillac Twin-Turbo V6. Rated at an SAE-certified 420 horsepower (313 kW) and 430 lb-ft of torque (583 Nm), it provides CTS with a performance level between the CTS luxury sport sedan and the exclusive CTS-V super sedan. A 3.6L with 118 horsepower per liter (88 kW/liter), it is the most power-dense six-cylinder engine in the midsize luxury segment. A pair of smaller turbochargers and an efficient charge air cooler on the Twin Turbo V6 help provide immediate power delivery. Additionally, approximately 90 percent of the Twin-Turbo’s peak torque is available from 2,500 rpm to 5,500 rpm, giving the engine a broad torque curve that customers will feel as strong, willing power in almost all driving conditions, such as accelerating or overtaking traffic on the highway. Paddle-shift eight-speed automatic transmissions are matched with all CTS engines, with the higher-performance V-Sport featuring a specific, higher-capacity version. A wide, 7.0:1 overall ratio and numerically lower top gear enhance efficiency by reducing engine rpm on the highway — a trait that also contributes to reduced noise. 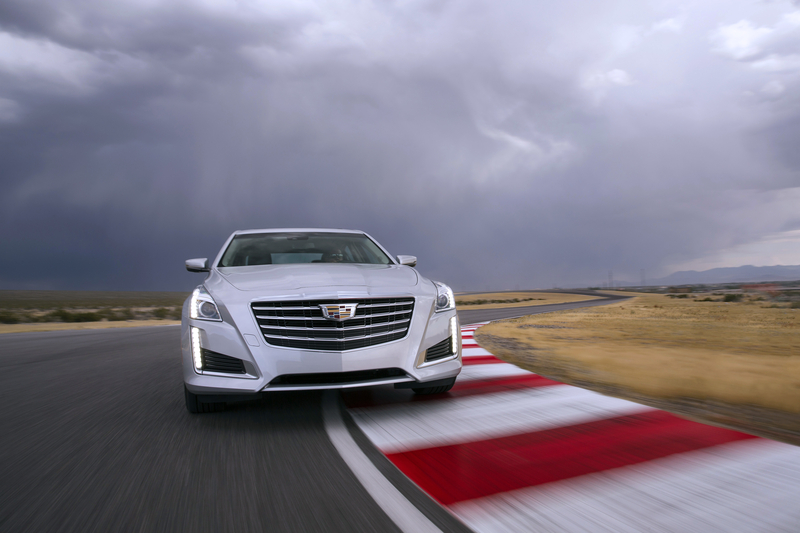 The CTS’s eight-speed transmissions also feature world-class shift times and responsiveness.